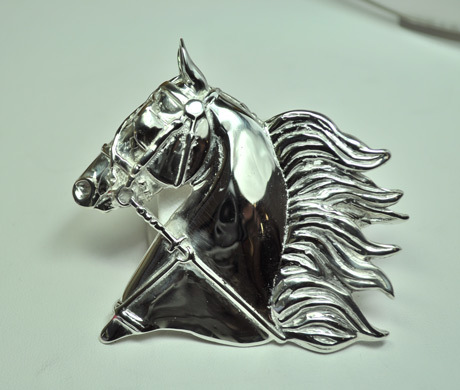 "Large Driving Head in Sterling Silver"
Great driving head for any driver! Spectacular detail. The Gorgeous Horse is your source for equestrian jewelry. If you enjoy large jewelry and great attention to detail, then you will fall in love with this new spectacular driving head. Two dimensional features bring this design to life and resembles the real thing. A true treasure for any collector. Dimensions: 2 1/2 inches wide x 2 1/4 inches tall.